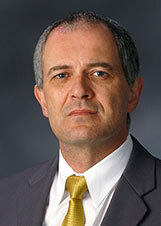 Dr. Jacques C. Després began learning to play piano at the age of 3. He started lessons a few months later at the Conservatoire de musique du Québec à Québec. In the fall of that year, the legendary Canadian conductor Wilfrid Pelletier, after hearing him play, noticed an extraordinary talent in the precocious pianist. After winning the Montréal Symphony Orchestra competition in 1978, and the Prix d’Europe in 1981 from the Académie de musique du Québec, Després has led a varied artistic life. He has appeared as soloist with orchestras, recitalist, chamber musician, collaborative artist, lecturer, educator, and musical director of the Summer Serenades at the University of Stony Brook’s Staller Center in New York. Worldwide noteworthy accolades for Després’ musical approach include a rare combination of virtuosity and artistic integrity. Després’ repertoire is broad and eclectic. Most notable are his two world premiere recordings of Joseph Martin Kraus of the complete piano works, and The New Goldberg Variations with cellist Tanya Prochazka. The Kraus performances on Naxos received world critical acclaim, and for the same label, he followed up with a 2-CD recording of the complete chamber music works by Kraus, a recording he edited. Highlights of the past few seasons include performances in Hong Kong, Beijing, Manila, Wuhan, Seattle, Montréal, New York, Chicago, Reno, and Sacramento. Després has presented master classes at leading institutions in North America as well as the Central Conservatory in Beijing, lectured at Juilliard on the landmark Ekier edition of Chopin’s Ballades, and served twice as the Daniel Ericourt Artist-in-Residence at the University of North Carolina in Greensboro. Després was awarded a Premier Prix à l’unanimité au Conservatoire de Musique du Québec, earned a Master’s degree from the Juilliard School, holds a DMA from the University at Stony Brook, and received the Artist Diploma with Distinction at Indiana University. His teachers were Christiane Sénart, Gyorgy Sebok, Adele Marcus and Gilbert Kalish. Després has been a member of the Music Department at the University of Alberta since 2000. Despite their unique and diverse musical makeup and the individual impact each artist has had on the world of music, there is an overwhelming force that drew them together and marks the Fine Arts Quartet as a musical entity like no other. They have an instantly identifiable sound, an intense beauty, a deeply warming and fluent communication that envelops their audience. It has been called a sound from the golden era, a sound that restores and enriches. The Fine Arts Quartet has a long and illustrious history. Founded in Chicago in 1946, it has recorded more than 200 works and toured throughout the world. The 33-year membership of Evans and Boico has created an inimitable unity of violin sound. Three years ago, Cohen brought his extraordinary musical passion to the Quartet, followed shortly by Hernandez, with his dynamism and heartfelt warmth. GRAMMY-nominated Matt Haimovitz is acclaimed for his tremendous artistry and as a musical visionary, pushing the boundaries of classical music performance, championing new music and initiating groundbreaking collaborations – all while mentoring an award-winning studio of young cellists at McGill University’s Schulich School of Music in Montreal. He made his debut in 1984 at the age of 13 as a soloist with Zubin Mehta and the Israel Philharmonic. At 17, he made his first recording for Deutsche Grammophone (Universal Classics) with James Levine and the Chicago Symphony Orchestra. He made his Carnegie Hall debut when he substituted for his teacher, Leonard Rose, in Schubert’s String Quintet alongside Isaac Stern, Mstislav Rostropovich, Pinchas Zukerman, and Shlomo Mintz. Matt Haimovitz’s recording career encompasses more than 20 years of award-winning work on Deutsche Grammophone and his own Oxingale Records. Close collaborations have included, among others, composer Philip Glass, pianist Christopher O’Riley, actor Jeremy Irons, author Cornelia Funke, and mezzo-soprano Frederica von Stade. 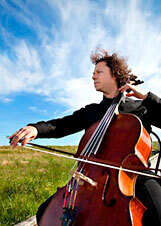 The solo cello recital is a Haimovitz trademark. In 2000, he made waves with his Bach “Listening-Room” Tour, when he took Bach’s beloved cello suites out of the concert hall and into clubs. He was the first classical artist to play at New York’s CBGB club, in a performance filmed by ABC News. Silver medallist and laureate of the Krystian Zimerman award for the best performance of a Sonata at the International Chopin Piano Competition in 2015, Charles Richard-Hamelin is one of the most important pianists of his generation. He also won the second prize at the Montreal International Music Competition and the third prize and special award for the Best Performance of a Beethoven Sonata at the Seoul International Music Competition in South Korea. In April 2015, he was awarded the prestigious Career Development Award offered by the Women’s Musical Club of Toronto. As a soloist, Charles has performed with various ensembles including the Warsaw Philharmonic Orchestra, Montreal Symphony Orchestra, Toronto Symphony Orchestra, Poznań Philharmonic Orchestra, Amadeus Chamber Orchestra of Polish Radio, Orchestre Métropolitain de Montréal, Korean Symphony Orchestra and I Musici de Montréal. Originally from Lanaudière in Québec, Charles Richard-Hamelin studied with Paul Surdulescu, Sara Laimon and Boris Berman. He obtained a bachelor’s degree in performance from McGill University in 2011 and a master’s degree from the Yale School of Music in 2013, having received full scholarships at both institutions. He is now a student of André Laplante at the Conservatoire de musique de Montréal and also works on a regular basis with Jean Saulnier. His first solo CD, which features late works by Chopin, was released on the Analektra label in September 2015. 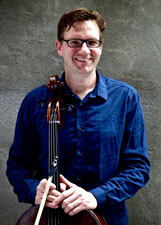 Rafael Hoekman began as Principal Cellist of the Edmonton Symphony Orchestra in September 2015. Before moving to Edmonton, Rafael performed with several different orchestras including Toronto, Detroit, Winnipeg, Calgary, Windsor and London. As a chamber musician Rafael was a founding member of the Tokai string quartet which was a prizewinner of the 2007 Banff International String Quartet Competition. He has also performed with many of Canada’s great musicians including Alexander Tselyakov, James Ehnes, Anton Kuerti, the St Lawrence Quartet, the Penderecki String Quartet, and the Gryphon Trio. As a teacher, Rafael is dedicated to equipping the next generation with the tools for success. His students have been admitted to programs and institutions such as the University of Calgary, and the National Youth Orchestra of Canada. He has also taught at several festivals including Music at Port Milford, Southern Ontario Chamber Music Institute, and the Toronto Summer Music Festival. As a soloist, Rafael has performed concerti with many orchestras including the Calgary Philharmonic, I Musici de Montreal, the Newfoundland Symphony, Sinfonia Toronto, and will make his debut as soloist with the Edmonton Symphony next season performing Tchaikovsky’s Rococo Variations, and Beethoven’s Triple Concerto with Concertmaster Robert Uchida and Music Director William Eddins. 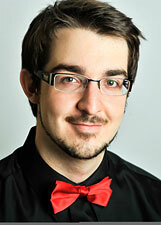 Rafael hopes to make a major impact on the Edmonton classical music scene for many years to come. 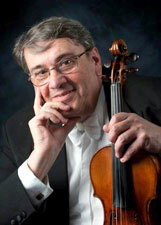 Violist Charles Pilon studied with Sonia Jeinkova at Montréal’s Marianapolis College. He earned a Bachelor of Music from McGill University under Mauricio Fuks before further studies at the University of Southern California’s Advanced Studies program with Robert Lipett. During his time at USC, he studied with David Cerone at the Encore School of Strings and Roman Totenberg at Kneizel Hall. 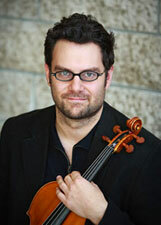 His viola mentors are former ESO Principal Viola Nick Pulos, and pedagogue Thomas Riebel at the Salzburg Mozarteum. Mr. Pilon has played for CBC Young Artists in Concert, and joined Orchestra London (Ontario) in the First Violin section (2003/04) before joining the Edmonton Symphony’s First Violins for the 2004/05 season. He successfully auditioned as Assistant Principal Viola of the ESO for the start of the 2005/06 season. Since his arrival in Edmonton, he has been active in the local music scene. 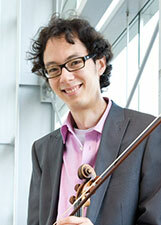 He has performed as a soloist with the Alberta Baroque Ensemble, and co-founded Quartett Enterprise in 2009. This past fall, the quartet performed all the string quartets of Beethoven at a series of concerts. Mr. Pilon has received grants from the Québec Council of the Arts, the Alberta Foundation for the Arts, and the Canada Council. In his spare time, he enjoys hot yoga, and salsa dancing. An acclaimed soloist, concertmaster, and chamber musician, Gil Sharon began his performing career as a young musician in his native Romania. He emigrated with his parents to Israel in 1961 and there continued his studies in music. While a student at the University of Tel Aviv, he performed as a recitalist and guest artist with various orchestras and was one of the founding members of the award-winning Israeli Army String Quartet. In 1971, he won first prize at the International Emily Anderson Violin Competition in London. He was appointed concertmaster of the Limburg Symphony Orchestra in Maastricht in 1969 and since then, has been based in Holland. He has also been guest concertmaster with the Barcelona Symphony Orchestra and the Israel Chamber Orchestra in Tel Aviv. He founded both the Sharon Quartet, which toured widely in Europe and North America in the 1990s, and the celebrated Amati Ensemble. 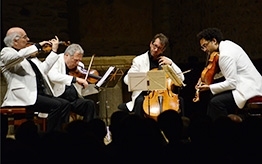 Since 1992, the Ensemble has performed with such notable soloists as Shlomo Mintz, Jeremy Menuhin, Nobuko Imai and Tabea Zimmermann and toured throughout Europe and abroad. For the past twenty years, it has also presented its own chamber music series in the city of Maastricht. Gil Sharon is a frequent guest at international music festivals, including Prades aux Champs-Elysées, the Paris series of the Pablo Casals Festival of Prades, France; the Upper Galilee Chamber Music Days in Israel; the Festival of the Sound in Ontario; and the Ottawa Chamber Music Festival. In 1997, he was honoured with the Dutch Royal Award, Knight of the Order of Orange-Nassau, for outstanding merit in chamber music. 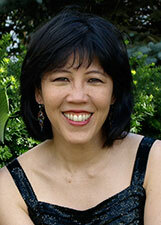 Originally from London Ontario, Sherry Steele is a graduate of the University of Western Ontario. She has performed with orchestras and in musical theatre throughout Canada, and toured internationally as a featured singer in Riverdance – The Show. Sherry also performed with the Broadway company of Riverdance at the Gershwin Theatre for more than a year. Sherry has been teaching piano and voice for more than 20 years, most recently at the Don Wright Faculty of Music at Western University, and currently at the University of Alberta. The JUNO Award-winning John Tessier has garnered international attention and praise for the beauty and honesty of his voice, for a refined style and artistic versatility, and for his handsome, youthful presence in the lyric tenor repertoire. He has worked with many of the most notable musicians of our day including Plácido Domingo, Lorin Maazel, Charles Dutoit, Leonard Slatkin, Bryn Terfel, Sir Thomas Allen, Thomas Hampson, Pinchas Zukerman, Itzhak Perlman, Bobby McFerrin, John Nelson, Franz Welser-Möst, Donald Runnicles, Robert Spano, and Bernard Labadie. Appearances include performances at the Royal Opera House, Covent Garden, Wiener Staatsoper, Carnegie Hall, Oper Frankfurt, Grand Théâtre de Genève, English National Opera, Washington National Opera, the New York Philharmonic, National Symphony Orchestra, San Francisco Symphony, Philadelphia Orchestra, Cleveland Orchestra, Royal Liverpool Philharmonic, Ensemble Orchestral de Paris, and the Toronto Symphony Orchestra. Equally comfortable in the genres of opera, oratorio and recital, Mr. Tessier is also in high demand for coaching, master classes, and private consultations. His discography includes recordings on the Naxos, Telarc, BIS, and Dorian labels. 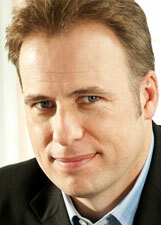 He has been a regularly featured guest soloist with many of Canada’s orchestras and chamber music festivals. Among his solo appearances with the Edmonton Symphony Orchestra, Robert had the honour of performing Bottessini’s Grand Duo Concertante with legendary bassist Edgar Meyer under the direction of William Eddins. Concertmaster of the Edmonton Symphony Orchestra, Robert previously held the same position with Symphony Nova Scotia and during the 2005/06 season Robert performed as Associate Concertmaster of the Rotterdam Philharmonic Orchestra. Engagements as a guest leader have included projects with the Netherlands Radio Chamber Philharmonic and the Vancouver Symphony Orchestra and he has worked with many of the world’s top conductors including Valery Gergiev, Kurt Masur and Pinchas Zukerman. Robert performs on an outstanding Lorenzo Ventapane violin made in Naples, Italy in 1820 and uses Vision Solo Titanium violin strings by Thomastik-Infeld Vienna. He lives in Edmonton with his wife Laura and their two children.